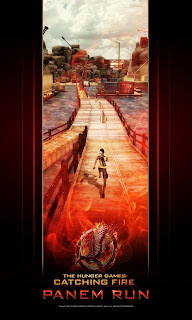 Lionsgate have announced, in partnership with Reliance Games, a brand new mobile game for the release of Catching Fire. 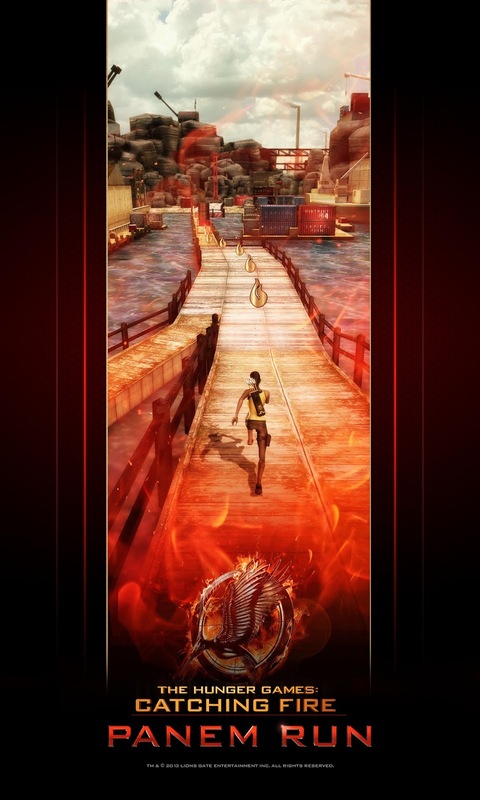 Titled 'Panem Run', the game takes on the endless runner format, similar to that seen in the extremely popular game 'Temple Run'. The game is set to be released on smartphones and tablets along with the movie in November. Stay tuned, more details are expected to be revealed soon! UPDATE: Check out this awesome screenshot from the game! Can you tell which district this is? Two companies band together to bring the endless runner genre to new social heights and let fans spread hope within the Districts of Panem. The Hunger Games: Catching Fire begins as Katniss Everdeen (played by Jennifer Lawrence) has returned home safe after winning the 74th Annual Hunger Games along with fellow tribute Peeta Mellark (played by Josh Hutcherson). Winning means that they must turn around and leave their family and close friends, embarking on a "Victor's Tour" of the districts. Along the way Katniss senses that a rebellion is simmering, but the Capitol is still very much in control as President Snow prepares the 75th Annual Hunger Games (The Quarter Quell) - a competition that could change Panem forever. The Hunger Games: Catching Fire is directed by Francis Lawrence, and produced by Nina Jacobson's Color Force in tandem with producer Jon Kilik. The novel on which the film is based is the second in a trilogy written by Suzanne Collins that has more than 65 million copies in print in the U.S. alone. Reliance Games' portfolio includes more than 600 games for over 2,000 devices across various operating systems. Its roster of hit games includes Pacific Rim, After Earth, Real Steel, Total Recall, Real Steel – World Robot Boxing, and F1 2011 among others. On the Nokia store alone, Reliance Games titles have collectively surpassed over 200 million downloads. Distributed across the globe, Reliance Games’ content can be accessed through 80 leading networks across 100 countries.